They expect real-time information and responsiveness at their fingertips. When Asian banks map out their plans to attract the next generation of investors and wealthy individuals, it became clear that a mobile-first strategy was key to winning over these cohorts that grew up accustomed to digital technology. Industry observers reckon that the emerging waves of banking clients are increasingly expecting the same exacting standards in digital responsiveness in their banking transactions as they do in sectors such as e-commerce, helping push banks to accelerate investments in mobile platforms, cybersecurity, and technologies such as artificial intelligence (AI), and application programming interface (API). “Millennials and Generation Z expect to have real-time information at their fingertips on their mobile devices,” said Charles Wong, head of retail banking, Citibank Singapore, which led the bank to bolster its Citi Mobile app over the past year with tools such as eBrokerage and foreign exchange. The app also has access to Total Wealth Advisor (TWA), which provides an expansive view of portfolios and financial insights and includes the Citigold Diversification Index, which tells users whether their portfolio matches their risk appetite and have sufficient diversification in both asset classes and products. Wong reckoned that whilst the emerging affluent segment is distinctly digitally active—demanding accessible solutions and global markets insights on mobile or online—they still require assistance in reaching traditional financial goals such as investing for their children’s education or for their own retirement. He noted that the bank’s digital and mobile efforts have led to increased traction amongst the younger, investment-savvy banking clients, with the Citi Priority segment growing 20% and Citigold segment expanding nearly 10% in 2017. "We see a future where simple routine transactions can be performed by our customers using various digital and self-service channels. The branch will increasingly become a venue for meaningful conversations, where we can guide our clients on a 1:1 basis. We see this happening especially quickly for millennials and digital natives," said Joseph Gotuaco, segment head for retail banking at BPI. Gotuaco noted that millennials and digital natives are comfortable using digital channels for low-touch transactions such as balance inquiries, funds transfers or bills payments—and the bank has invested accordingly to make these digital channels "as safe and as reliable as our branch channels, yet more convenient." Physical branches remain important for the Philippine bank, with resources still being poured into them, including staff training so that customers that step through the doors could receive "useful and prudent" financial advice, Gotuaco added. Channel flexibility also appears to be a key thrust for BPI. "We are investing in a solid, enterprise-wide processes and technologies," said Gotuaco. "With this our customers can choose to begin a transaction in one type of channel, either digital or physical, and continue (or end it) in another." Bellens reckoned that service convergence is an appealing factor for modern banking customers, where they prefer to manage all aspects of their financial lives within robust platforms, without having to switch between different financial portals or channels. By more actively participating in digital financial platforms, banks can also collect a richer set of customer information to better understand their clients, identify new market opportunities, and develop personalised or contextual offers, he said. 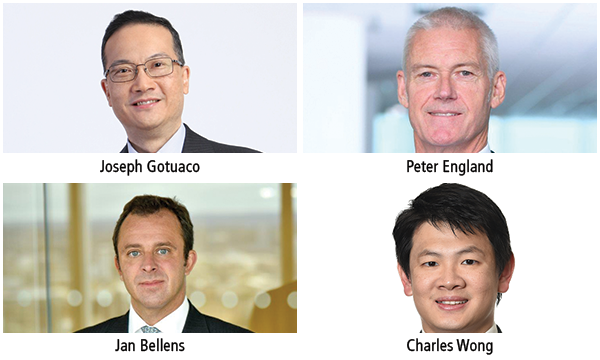 Over the immediate to mid-term horizon, especially in developing Asia-Pacific markets like China, Bellens flagged the significant impact of digital disruptors on retail banking’s competitive landscape. Retail banks face increased pressure not just from specialised fintechs, but also BigTech e-commerce firms and platform players that boast of their own, well-established, integrated financial ecosystems. However, as mobile-centric and digitally-powered retail banking booms, cybersecurity risks threaten customer data and bank reputations. Peter England, CEO of RAKBANK, which is based in the United Arab Emirates, said ransomware and crypto-mining malware are two of the fast-rising threat vectors, enabling attackers to extort money or simply mine cryptocurrency using computing power of targeted technology infrastructure. Attackers are also developing capabilities to target critical payment systems such as SWIFT through low-and-slow attacks that can avoid detection for longer periods, which led the bank to develop isolation strategies to cordon off payment systems from generic network elements. With cybersecurity threats becoming increasingly complex and threatening to inflict high monetary and reputational damages to institutions, England said RAKBANK has been using machine learning and AI techniques to bolster its cybersecurity defence, particularly enabling it to define what is “normal” and identify “anomalous” behaviour. This has helped the bank create a system that detects and prevents attacks and fraud attempts instead of reacting only when such an incident occurs. To enhance the capability to predict risks, England said the bank has also participated in initiatives such as generation of private threat intelligence and collaboration with peer banks. The intensive efforts by banks to strengthen their cybersecurity was ranked as the highest risk priority by both chief risk officers and boards for the coming 12 months, said Bellens, whilst data-related risk was identified as the leading emerging risk over the coming five years. “In practice, there is significant interdependency between cyber, data, and fraud risks. For example, investments in cybersecurity are in large part designed to protect both the institution’s most sensitive data and the infrastructure most vulnerable to fraud, such as payment systems,” he said. In enhancing their security measures, banks are under pressure to keep up with their rapid evolution in terms of digital banking applications, cloud technologies, and the use of third-party vendors, Bellens warned. The shortage of suitably skilled and experienced professionals in the Asia-Pacific region provides further challenges. Amongst the emerging technologies, AI and API are two elements with the highest impact potential in retail banking in Asia-Pacific in the next 12 months, according to Bellens. Aside from its security applications, AI technology is being used by banks to enhance business insights and customer experiences. A notable AI application is in credit scoring assessments assisted by leveraging on social behaviour and big data analytics technology. Other core applications of AI, such as improved chatbots, are also helping raise the level of customer experience, noted Bellens. Meanwhile, open banking is being mainly driven by regional regulatory requirements but the technology paves the path towards new platform models crucial in winning customers. 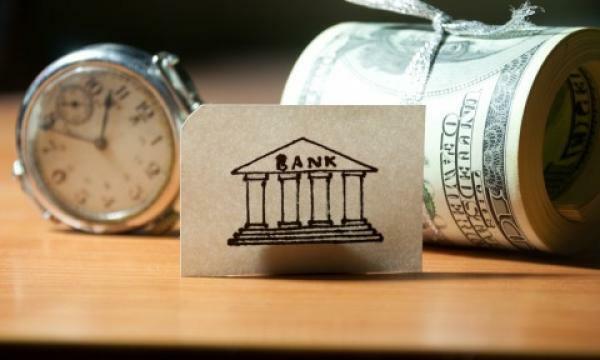 “The most obvious return on investment from open architectures is that nudging banks to collaborate with the developer community helps to build-out existing applications and create greater customer value propositions,” said Bellens.